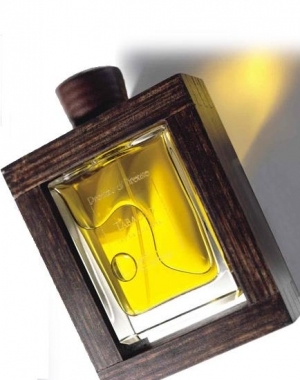 Housed in perhaps the most pretentious bottle I've ever seen, along with a pretentious $210 price tag, Tabacco fits the niche fragrance image to a T. I was therefore prepared to be unimpressed with the scent inside. Fortunately I was pleasantly surprised to find that the fragrance﻿ is anything but pretentious, and in fact turns out to be one of the most authentic renderings of the aroma of tobacco I've ever smelled. So many perfumes are alleged to depict the smell of pipe tobacco, but so few of them deliver the goods. Sorry, but mixing cedar, vanilla and patchouli together is not my idea an authentic pipe tobacco accord. Tabacco, on the other hand, nails it. Especially for the first hour or two, Tabacco is literally what it smells like when you stick your nose into a can of Edgeworth pipe tobacco. I'm not talking about wussy cherry or vanilla flavored pipe tobacco here - I'm talking about real tobacco with no lame foodie flavorings added to it. It smells brown, rich and damp, not vanilla sweet. In fact, I'd say that if you're looking for a substitute for Creed's discontinued Tabarome, this fragrance is an excellent choice, even though Tabacco is a bit lighter and sweeter than the Creed. Over time, Tabacco becomes more powdery and less intensely tobacco-like, even though the smell of tobacco never completely disappears. After wearing this for a few hours, it dries down to a clean, leathery floral musk scent, which surprisingly makes a nice finish to the show. Tabacco is a superb fragrance, but it's not one I'm likely to purchase. It's a little too light and flowery sweet for my own tastes - I prefer a darker, slightly less sweet smell when I wear tobacco fragrances. In fact, even though Odori lists this as a men's fragrance, I actually think Tabacco makes a better feminine fragrance. The musky floral drydown is beautiful, and I think it would smell dynamite on a woman. That's not to say a guy can't pull this scent off well - I just don't think I'm someone who can. This is excellent, but don't buy a bottle without trying it first. Granted, it certainly smells expensive, but the fact that it also is expensive and isn't a typical tobacco scent means that buying this blindly would be foolish.